Agriculture Secretary Emmanuel ‘Manny’ Piñol will hit the ceremonial drive to kick off the 70th edition of the Philippine Airlines (PAL) Interclub team golf championship starting Feb. 22 to 25 at Rancho Palos Verdes Golf and Country Club and Apo Golf and Country Club in Davao City. A former campaigner in the event while he was still a sportswriter and later on Mayor of M’Lang and Governor of North Cotabato, Piñol will be right at home in opening the Senior’s division hostilities which Canlubang will try to win for the second straight year. Defense chief Major Gen. Delfin Lorenzana (Ret.) will hit the first shot in the Regular Men’s action that unfolds March 1 to 4 also at the two Davao courses. Canlubang will be defending its Senior’s championship, while Manila Southwoods will shoot to win the Regular Men’s title for the third straight year using a youth program that is the best in the land at this time. Apo Golf, the old, tree-lined layout that is arguably one of the toughest down south, and Rancho Palos Verdes, a well-manicured, all-weather course, will be the venues for the tournament. Canlubang coasted to the championship last year at Mimosa in Clark Field, Pampanga and, like what has been for decades now, the Sugar Barons are tipped to encounter their biggest challenge from Luisita. Spearheaded by former pro Eddie Bagtas, the Luisitans will again field a tough squad that will try and dislodge the Sugar Barons, who are likely to miss the ageless Tommy Manotoc this time. Southwoods, on the other hand, has some of the best young talents in the land, with Yuto Katsuragawa, a reedy Japanese who is the club’s reigning champion, and Ryan Monsalve leading the charge. 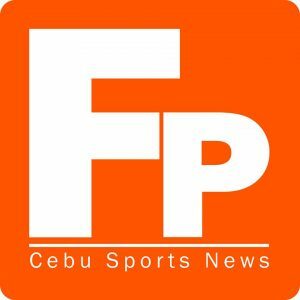 Cebu Country Club and Orchard are the other squads expected to figure prominently in the Men’s division. The 70th edition of the PAL Interclub is being supported by Mareco Broadcasting Network, A&E Networks Asia (History), Radio Mindanao Network, Manila Standard, Fox Network Group, Rolls Royce, TV5, TFC (ABS-CBN) as well as Boeing, GE Aviation (Singapore & Philippines), Asian Air Safari, Airbus, Primax Broadcasting Network, Baron Travel, MX3 and Bombo Radyo. Donors include Shangri-la, Eton Properties, Tanduay Distillers and Asia Brewery.